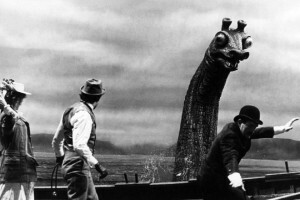 Drumnadrochit enters deep recession as fake Nessie unearthed. The picturesque loch side town of Drumnadrochit has today been plunged into deep economic strife after a research team unearthed a large plastic seamonster from the depths of Loch Ness. “The jig is up, and quite frankly I’m relieved” said Community Councillor and fake plesiosaur enthusiast Bob Commons. “I am sick of having to brutally murder every tourist that work’s it out”. Most local business are now lying empty although the large replica Nessie that once stood outside the hotel has been converted into a thriving CASH4GOLD. Nessie cruises are now offering significantly less popular “Just a loch” cruises while gangs of feral local children wage pitched battles over the remaining stockpiles of tablet, fudge and monster themed keyrings.